I find it very frustrating when you say if anyone wants a job they can find one. I’m more than a sales coordinator – what can I call myself? All my decisions are made with “making art” as my final goal. How can I do that? Any ideas on what I could do as a pilot that could help me and my family? 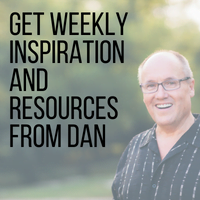 Dan opens this week’s theme: “how does one talk to a billionaire?” Instead of prepping for that billionaire, Dan encourages listeners to treat everyone as a billionaire. In this way, your curiosity and the interest you take in each person you meet opens the door to learn from them. 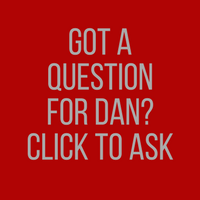 Dan also addresses listeners’ questions and offers encouragement to those who feel stuck in their day-jobs. He discusses how technology and the internet have opened a whole new array of possibilities and shares a story of how he encouraged a restaurant server, who was also a journalist, in her journey. Tune-in to hear good news and find practical support that will get you closer to the work you love. 14:06 – Sarah says, I’m more than a sales coordinator – what can I call myself? 18:37 – Bryan says, I find it very frustrating when you say if anyone wants a job they can find one. 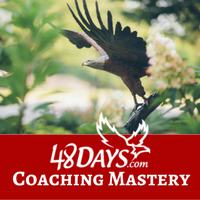 25:51 – If you’re not getting to the next point, where are you breaking down? 29:11 – Tim says, All my decisions are made with “making art” as my final goal. How can I do that? 37:44 – John says, Any ideas on what I could do as a pilot that could help me and my family? When you feel you’re losing your purpose, stop for a minute and think about everything that you have in life. Start talking to people as if they’re billionaires. Be curious about the people you meet; this creates an opportunity to learn from them. The path you take is always your choice; so choose where your curiosity and passion tell you to go. The new 48 Days Eagles site – Check out the inside of the 48 Days Eagles Community!